Did the U.S. and Germany actually Fight on the Same Side in World War II? During the Second World War allied forces had fought the Axis powers for years. Every component of the German armed forces fought the allies ferociously, even if it meant to the last man. American soldiers grew to hate German soldiers more than any other member of the Axis powers. Shockingly, towards the end of the war, American and Wehrmacht soldiers found themselves in an awkward predicament. This was the one time in the war that American and German soldiers fought on the same side. Several anti-Nazi members of the Wehrmacht agreed to collaborate with U.S. troops in the 23rd Tank Battalion of the US 12th Armored Division. This conflict occurred in the Austrian village of Itter, which is located in North Tyrol. The battle occurred five days after the death of Adolf Hitler. On May, 5 1945 American forces encountered Castle Itter, a small castle situated on a hill which was used from 1943–45, during the Nazi occupation of France, to incarcerate prominent French prisoners. Some of the castle’s inmates included former Prime Ministers Édouard Daladier and Paul Reynaud, Generals Maurice Gamelin and Maxime Weygand, a former tennis champion and later General Commissioner of Sports in the Vichy regime named Jean Borotra. Marie-Agnès de Gaulle, Resistance member and sister of General Charles de Gaulle, was also held there. Several French prisoners defended the castle against a small force from the 17th Waffen-SS Panzer Grenadier Division. Heinrich Himmler decided to seize the castle in February of 1943. In just two months, the castle was transformed into a sub-camp of Dachau concentration camp. By May of 1945, the camp's commanders either fled or committed suicide and the remaining prisoners grabbed whatever weaponry they could find. 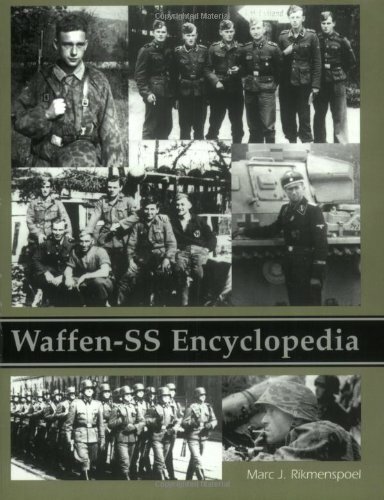 The Americans only had a little over a dozen soldiers and the Wehrmacht soldiers were made up less than a dozen men. Fortunately, American forces did have a Sherman tank available which provided cover-fire. The French prisoners greeted the rescuing force when it arrived at the castle, but were disappointed at its small size. Eventually SS officer, Kurt-Siegfried Schrader, had healed from his wounds and joined the American, Wehrmacht, and French forces. As the battle began other Wehrmacht and Austrian resistance soldiers joined the fight (including Austrian resistance member Hans Waltl). In the end, the battle lasted around six hours and was later accompanied by a relief force from the American 142nd Infantry Regiment. Several of the combatants were awarded medals and received promotions. The battle marked the end for the 17th Waffen-SS Panzer Grenadier Division (The remaining members of the division surrendered to the US 101st Airborne Division on May 6, 1945.) Many historians believe that by the time of the battle, many of the SS units would have been better off just surrendering to the allies, especially due to the fact that the majority of Nazi leadership already surrendered or was killed. Strangely enough, this battle is the only battle in the history of the Second World War where both American and Germans collaborated. Even though there had been times throughout the war where Germans did consider abandoning Hitler and other Nazis, they never considered fighting alongside the allies. Thank you for this article. Very unique angle on World War II. We forget sometimes that soldiers are human beings and not ideologues. Thanks, I appreciate the positive feedback everyone! I found the topic to be quite interesting. Stephen Harding The Last Battle: When U.S. and German Soldiers Joined Forces in the Waning Hours of World War II in Europe. New York: Da Capo Press, 2013.